When conducting a clinical trial for a new product, how can leading pharma brands better educate participants about the trial and keep them focused on their daily habits and reactions to treatment? Americhip partnered with Otsuka to create a first of its kind patented Clinical Trial Video Diary for participants in a new study. The sleek and simple design underscores the seriousness of the undertaking. 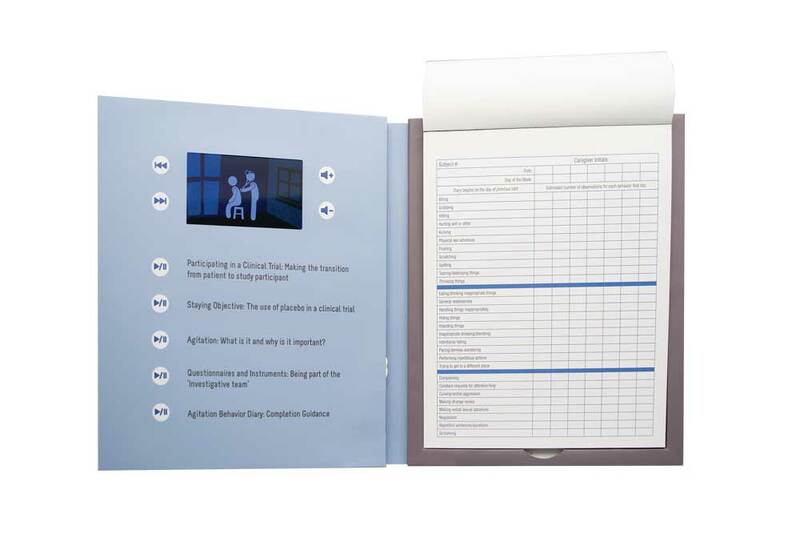 Americhip then programmed five detailed videos into the Diary that educated participants on the trial's objectives, reminded them of specific activity to be looking for and offered tips to ensure a successful program. 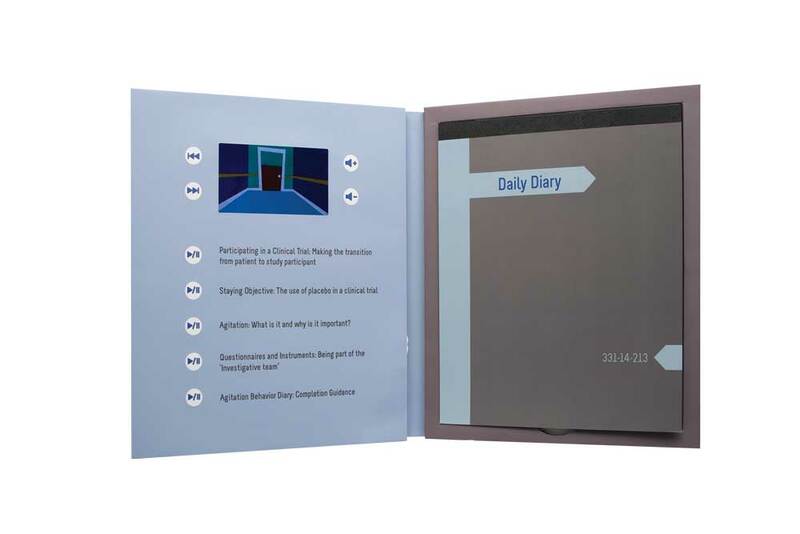 The Video Diary also included a daily tear pad where participants tracked and recorded their behavior for the day. Partner with Americhip to create video training manuals for your important clinical trials and other patient facing activities. 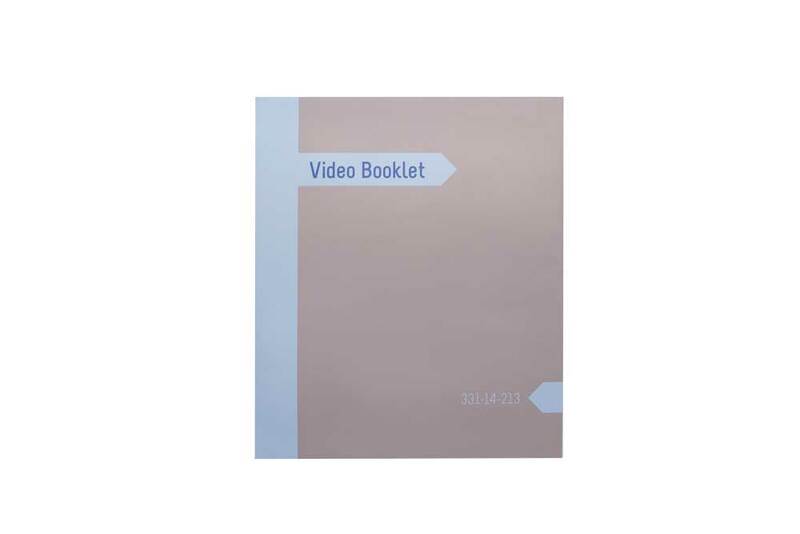 The Clinical Trial Video Diary became an important and trusted tool for the participants and contributed to a higher success rate for this trial. Given the success, Otsuka has reordered the Video Diary for three successive trials.